We also accept cash or check donations. continued support from donors like you. Planned giving is an excellent way to help us insure that we can continue to help the pets and people in Crawford County for years to come. Our dedicated staff is available to meet with you to discuss and plan your gift: (419) 562-9149. Prior to us meeting, we do recommend that you speak with your attorney and accountant to see which gifting method best fits with your estate plan objectives. Legal Name: Humane Society Serving Crawford county and Its Municipalities Inc. Please remember no gift is too large or too small! to support the pets we care for every day. 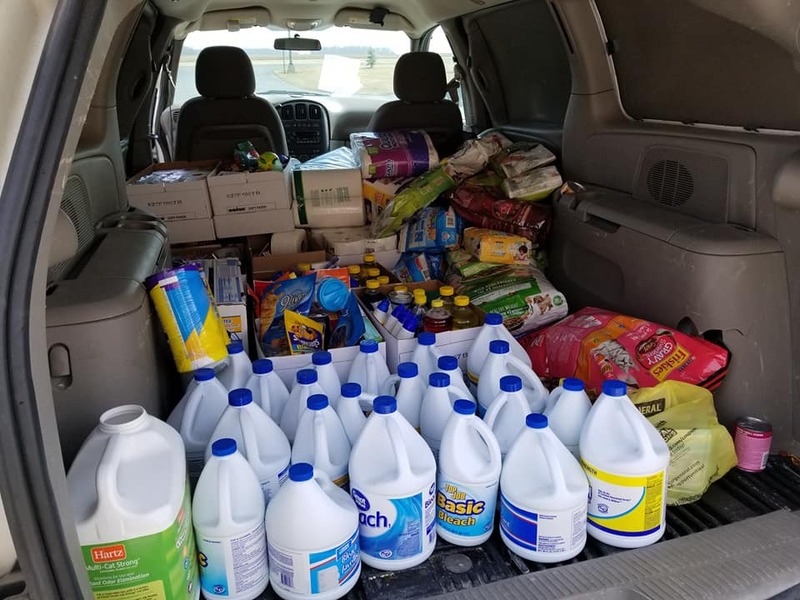 The shelter is always in need of items to keep the shelter running. Below is a list of the top items needed at any time. Just drop off at the shelter anytime.